Enjoy total control of virtually any lighting environment. 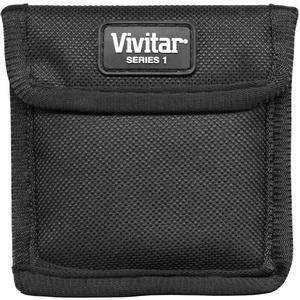 The Vivitar Series 1 Variable Range Neutral Density Filter is manufactured from high-quality solid optical materials. Each individual filter is heat-treated to avoid any distortion. Enjoy total control of virtually any lighting environment and reduce brightness without affecting color or depth of field. 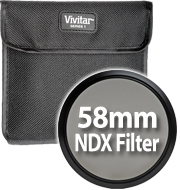 Simply turn this filter's exterior ring to change ND settings without wasting time changing or adding filters. 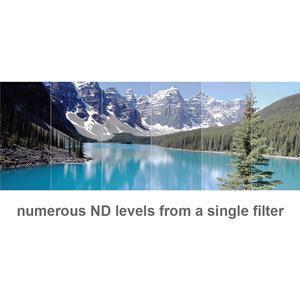 Variable neutral density filters reduce intensity of all wavelengths or colors of light equally, resulting in no changes in hue or color rendition. 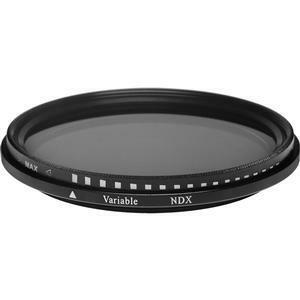 The purpose of standard photographic neutral density filters is to allow the photographer greater flexibility to change the aperture, exposure time and/or blur of subject in different situations and atmospheric conditions. Instead of reducing the aperture to limit light, the photographer can add a ND filter to limit light, and can then set the shutter speed accordingly.